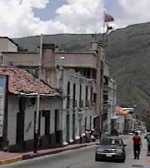 Trujillo the smallest Andean State has a total area of 8624 km. 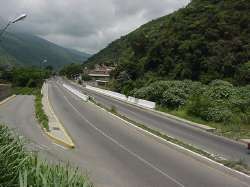 The capital which bears the same name as the state has also been called "Ciudad Portatil" (Portable City), for it has changed its location more than once in fourteen years. 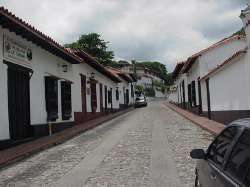 Trujillo still keeps the charm of old Spanish colonial houses, full of memories from past years. Serpentine narrow roads link graceful villages and towns that hold historic importance. Trujillo State is a hospitable land where the visitor can sense peace as one of the attracting features this enchanting region offers. 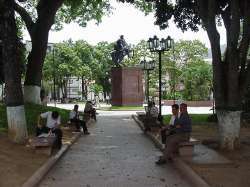 Diego Garcia de Paredes founded Trujillo capital of the state in 1557. With an altitude of 958 m. this long and narrow city lies at the feet of La Virgen de La Paz, whose impressive monument stands over the city, jealously guarding the town that so faithfully worships her. This imposing work located at 1700 m. is 46.72 m high and weighs 1200 tons. 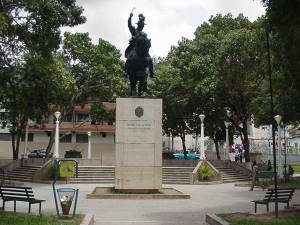 Designed by sculptor Manuel de La Fuente was opened to public in December 1983. Inside the huge statue you can climb up to four viewing points at different levels, from where you can have fine views of the city and its surroundings. From the fourth one, on a very clear day you might be able to see El Lago de Maracaibo (Maracaibo Lake). If you are wearing the right shoes you may walk down the mountain to see the rock, where it is said the Virgin actually appeared and devoted worshipers pray, light candles and leave flowers to thank their patron Virgin for granted favors. The rock is the mouth of a cave, which according to Indian legends is connected to similar ones, forming an under ground tunnel which would allow them to move all around the state. Through the ages, telluric movements have blocked these passages. On leaving the monument site you will come across a small handcrafts market where you will see virgin's miniature replicas, stone rosaries, coffee percolators and many other fancy trinkets, you might want to acquire as souvenirs. 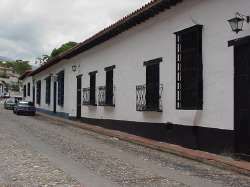 As you walk on La Plazuela paved streets, its white houses with heavy wooden doors and protruding eaves summon up colonial memories. Here you may savour a delightful curruchete (typical candy made of sugar cane syrup), cheese from the moors, anisette seeds and the famous chicha andina. 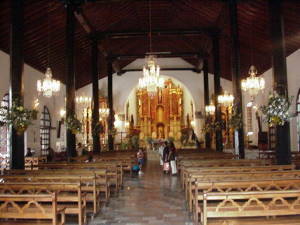 Trujillo's cathedral shows a romantic baroque style. 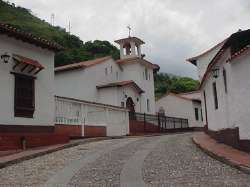 It was here where the Catholic Church first officially supported the Independence Movement. Built in 1662, with cedars from surrounding valleys, it was stated a National Historic Monument on August 2nd 1960. The cathedral shelters a gorgeous image of La Virgen de La Paz, presumably brought by the first Spanish immigrants. 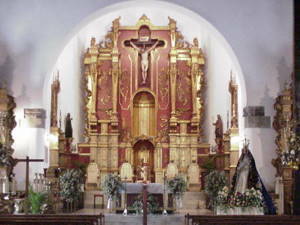 This beautiful temple main altar was carved by the Colombian sculptor Gustavo Ignacio Cortes, according to the Venezuelan architect Andres K. Noorgard's plans. The Mario Briceño Iragorri Library, formerly headquarters of Regina Angelorum Convent is a two-story colonial building; the main entrance decorated with baroque molds and guarded by heavy wooden doors. This construction is datable to 1622. The nuns occupied it until 1974. Its open wide corridor gets you to the different library rooms furnished with books on various general subjects. An old colonial house shelters the Conservatory Laudelino Mejias the musical institution that passes on to the youngest generations, the marvelous legacy of national as well as universal masters of the musical art. 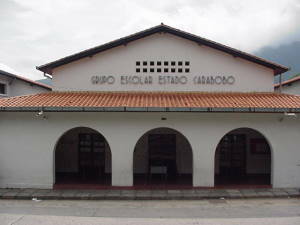 The Center of History is a handsome colonial house transformed into a museum and stated National Historic Monument in 1963. During the independence years, this house witnessed the signature of many important documents, decrees and treaties (Decreto de Guerra a Muerte- 1813; Tratado de Armisticio y Regularización de la Guerra -1820) In its rooms many assorted utensils, implements and religious relics from colonial times are exhibited. 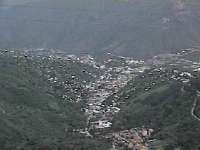 Tariba - The town of tariba is located in the outsides of San Cristobal, a very short distance from it. 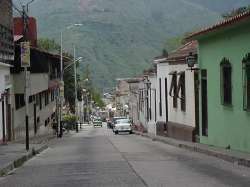 It is a little small, beautiful of steeply streets. 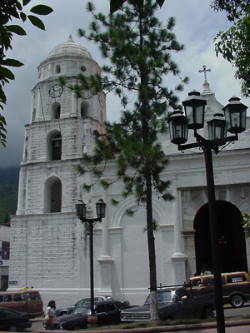 As almost all town of Venezuela it has a Plaza Bolivar, in front of a church that in this case was promoted to the title of Minor Basilica.